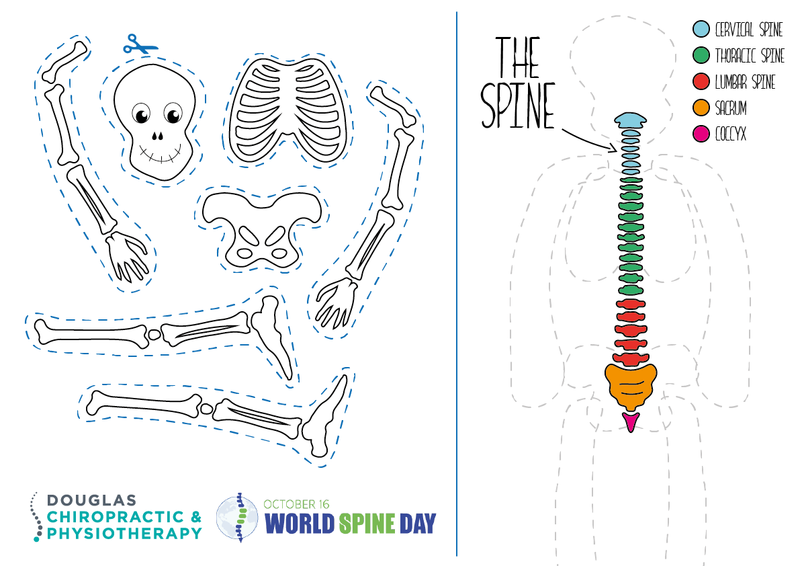 The 16th of October 2017 is World Spine Day, a day to raise awareness about spinal disorders and promote an interdisciplinary, collaborative approach to easing their burden. 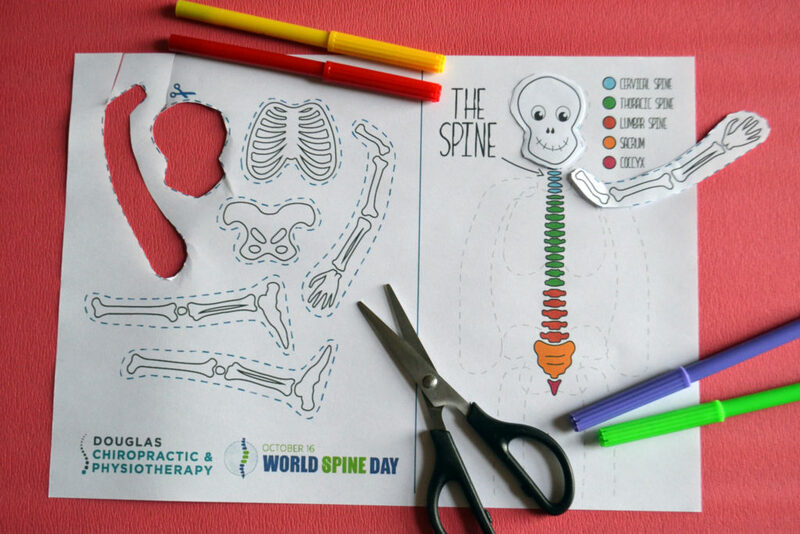 To mark this day with a smile, here at the Douglas Chiropractic & Physiotherapy Clinic in Cork we created a little printable activity sheet for your children / your youngest patients! "Bonesy the skeleton" was created to highlight the central role of the spine in our skeletal system and in the human body. Want to share your creativity? Send us a photo with your printed Bonesy on Facebook, or simply tag our page! Tagged activity sheet, chiropractic, chiropractor, chiropractor cork, cork, world spine day. « When Does Acute Back Pain Become Chronic Back Pain?